No tape or glue or spray adhesive mess to deal with. No "fitting" - you get a perfect fit, every time!! Clean your Glass! - You want the paper to stick to the glass, not the dirt! Create the Pattern - Place your pattern on top of the carbon paper with the carbon side down. Place the two on the adhesive paper with the backing side down. Each layer is taped with the masking tape on the top and bottom. 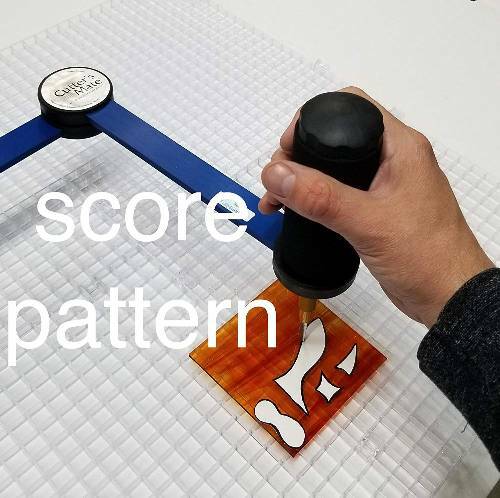 Trace the pattern and write in the grain direction lines, pattern piece numbers and indicate what kinds of glass it needs to be cut from. 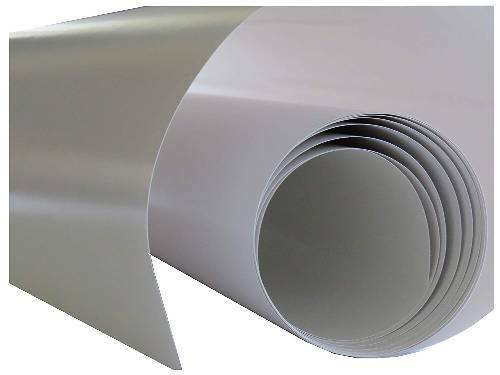 Once the pattern in traced onto the adhesive paper, remove the tape from the bottom. Lift up the pattern and the carbon paper to make sure you have traces everything onto the adhesive paper. Cut the Pattern - Using foils shears or lead shears, cut the pattern out of the adhesive sheets. 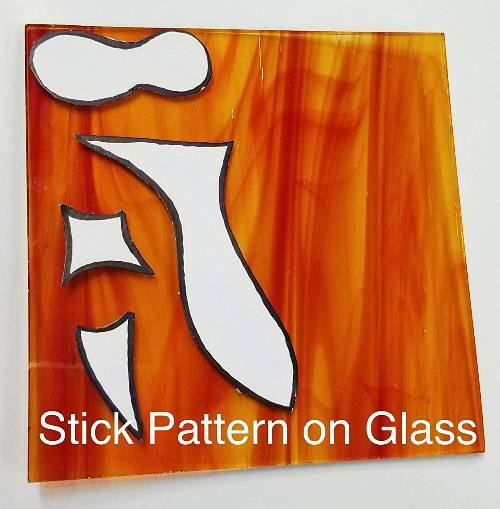 Peel off the backing and stick the patterns onto the glass that the pieces will be cut from. Pay attention to the grain directions lines! Score the Glass - Cut the glass with the pattern pieces stuck to it. You can run the cutter head right up against the paper since it is thick enough to give the cutting head a edge to follow without running over top of it. 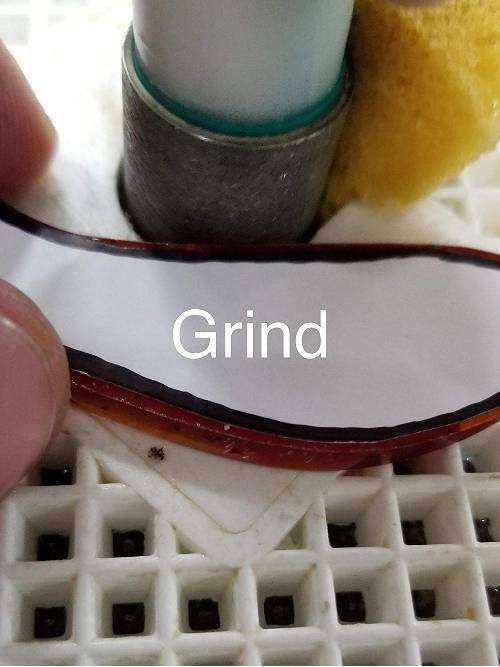 Grind the Glass - Grind the pattern pieces while the adhesive paper is still stuck to it. Grind right to the edge of the pattern paper. If the pattern paper is rolling up against the grinder head, you have ground down too much! Peel the Pattern Pieces Off - Peel off the adhesive paper, and clean the glass. 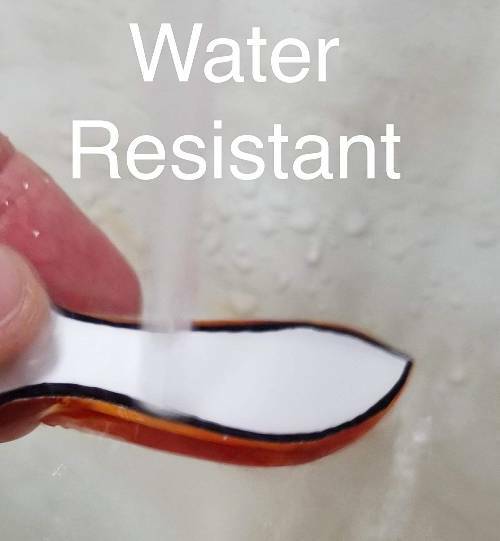 If the paper sticks to the glass, put the pieces in a bowl of hot water and it will loosen. The longer the paper is stuck to the glass, the tighter it adheres to the glass.